The Pareto principle, also known as 80-20 rule states that roughly only 20% of the causes affect 80% of the effects. I would like to give you some examples and an attempt to connect the rule with some aspects of Apple’s strategy to design hardware and software products although I didn’t find any hints published by Apple which explicitly refer to the 80-20 rule. But I’m sure it’s in the mind of Apple’s engineers and can be seen as a guideline for developing products. In recent months, Microsoft has learned that 80 percent of the errors and crashes in Windows and Office are caused by 20 percent of the entire pool of bugs detected, and that more than 50 percent of the headaches derive from a mere 1 percent of all flawed code. In an e-mail update sent out broadly to enterprise customers on Oct. 2, 2002, Microsoft CEO Steve Ballmer highlighted initial progress being made on the company’s Trustworthy Computing initiative, an effort rolled out by the vendor last January to improve its reputation in the reliability and security arenas. For one thing, there will be faster bug-fixing as a result of an error-reporting facility embedded in Office and Windows. And that error-reporting tool will be part of the forthcoming Windows.Net Server 2003. The automated error-reporting tool enables customers to relay errors to Microsoft in a condensed “mini-dump” format, which simplifies the process, Ballmer said. But one analyst said that customers should not come to the conclusion that the 80-20 bug ratio will make it easier for Microsoft to clean up problems with its software. said Rob Enderle, research fellow at Giga Information Group. The tool and debugging method, however, did help Microsoft address 20 percent of all Windows XP bugs in Service Pack 1, more than half of all application errors fixed in Office XP Service Pack 2 and 74 percent bugs of fixed in the beta test version of Visual Studio.Net, Ballmer claimed. 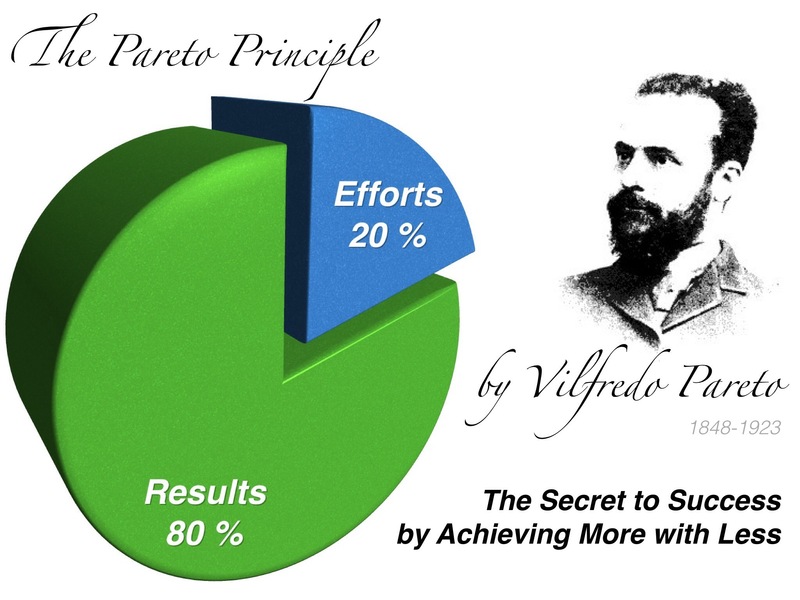 Ready for a summary of Pareto’s principle? So here it is and as usual on iNotes4You it’s summarized with the help of a mind map. Apple’s operating system for mobiles, the hardware, and software applications are as complex as other comparable systems. Only developers are deeply engaged in what’s going on in the code if a user e.g. taps on the touch screen of an iPhone or an iPad. Be sure, it’s a lot what has to be considered when designing the code and providing APIs (Application Programming Interface) to developers who then create their apps based on implemented functionalities of iOS. 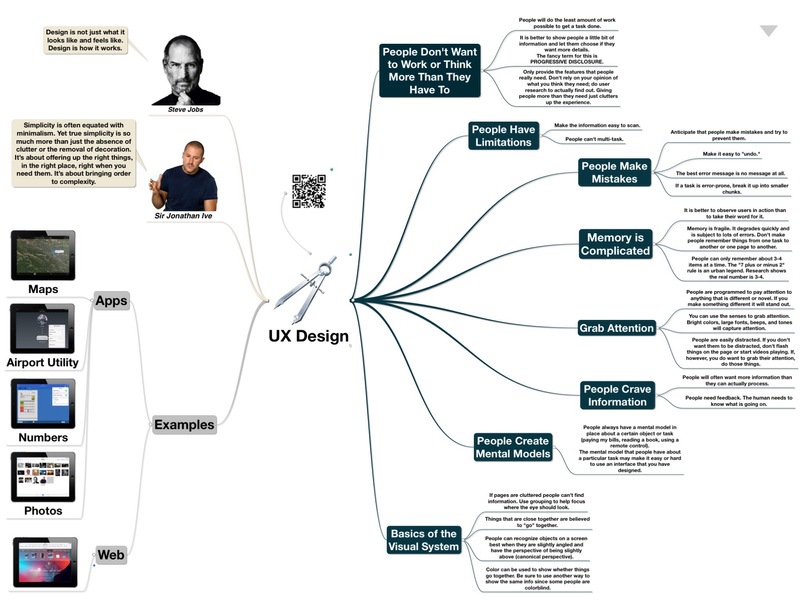 For us, as users of Apple’s mobile devices, there are only two but quite important things, the UX (user experience) and the UI (user interface). One common adage in the IT industry is that 80 percent of all end users generally use only 20 percent of a software application’s features. Aside the concrete numbers this seems to hit the nail right on the head and I think nearly all of you can agree. Only a minority, the power users, get more mileage out of an application. 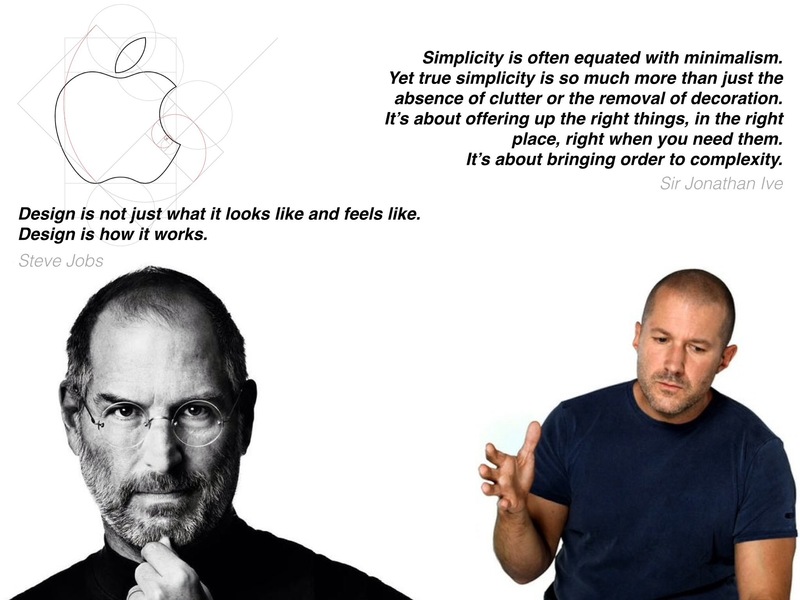 Apple goes the latter way roughly according to the Pareto principle. What are the features if all the options are roughly reduced to the mentioned 20%? Well, it depends on the application and necessary features can only be identified by constantly looking on the behavior of customers. If you settled all the needs of customers the next problem comes up. How can the features be packed in a clean and tidy user interface? Regarding the UX and UI I found a noteworthy article by Susan Weinschenk, Ph.D., on uxmag.com about The Psychologist’s View of UX Design (please use the link under ‘Related link’ to read the full article). It can be seen as a validation of the Pareto principle in the sense of separate the vital few from the trivial many. And with this it also proofs Apple’s strategy of seamless usage of its mobile devices. 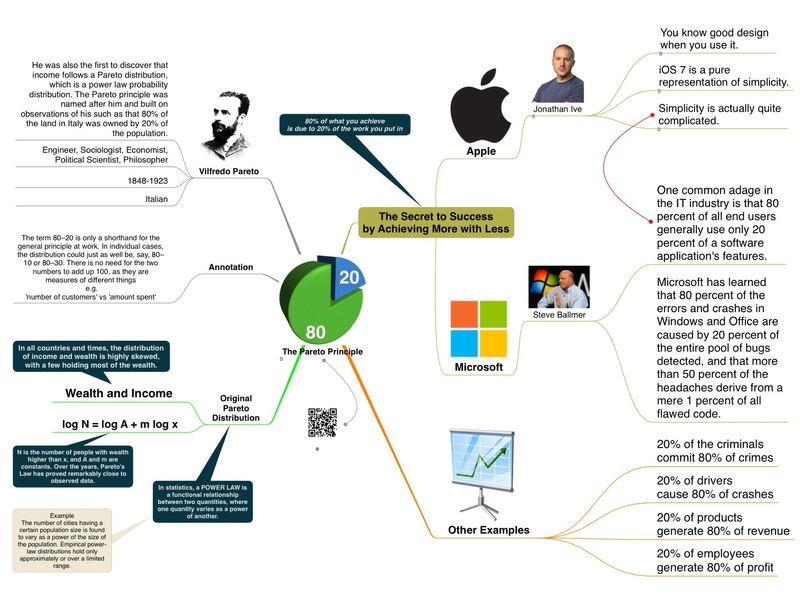 Here is a summarization of the main points visualized in a mind map. There’s a finite amount of resources to focus on finding and fixing issues or improving the user experience. It’s the task of designers and engineers to find out the small number of items account for a disproportionate amount of results. An effective strategy is to separate these vital few from the trivial many to improve the user experience. This is a quite remarkable step to reduce the efforts of users to fix problems. It’s definitely the wrong and most ineffective way to fill a knowledge base with thousands of articles, often not applicable for devices even if they run on the same version of an operating system. That’s my experience of working on Microsoft Windows based computers in the last 30 years. Problems with drivers, Dynamic Link Libraries, vulnerabilities, monthly published patches, etc. have been quite frustrating tasks, wasted your time, and, regarding the usage of Windows PCs in businesses, cost a lot of money. A reason could be the genes Microsoft put into the cradle of its operating system. Companies looking at the 80-20 rule have to identify the 20% in all areas which means find out the few vital from the many trivial. Going along with this analysis more simple solutions for usability problems, feature requests, support calls, software bugs or revenues can be created. If you recognize that reading just 20% of my blog post let you understand 80% of my intentions than you have a further validation of Pareto’s principle.